WOW! 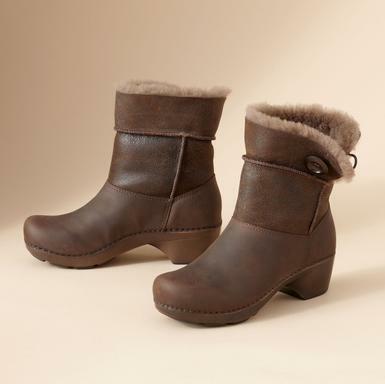 A cozy boot with a Dansko bottom? Thankyouverymuch! You can’t get better than this brand for all-in-one support and offloading mechanics. Amazing shoes for any kind of foot pain. Period.